Lyndsey Fry is an Arizona-born Olympic Silver Medalist and competed at the Sochi Olympics in 2014 with Team USA. Her passion is to motivate others by sharing her experiences in sports, life and business through topics like goal setting and teamwork. Lyndsey Fry is an Olympic Silver Medalist and has been speaking professionally for the past 5 years. Lyndsey is the first ever male or female hockey player born in the state of Arizona to go on and play in the Olympics and is the first Arizona native to win a medal at the Winter Olympic Games. Lyndsey completed her undergraduate degree at Harvard University where she also played NCAA Division 1 hockey. 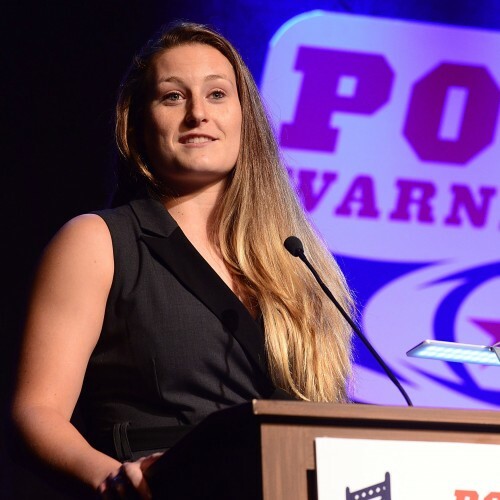 After graduation, Lyndsey discovered her passion for business and started her company Lyndsey Fry Hockey LLC which provides elite hockey coaching to underserved female hockey markets throughout the Western United States. In 2018, Lyndsey graduated from Arizona State University with her MBA and was hired by the Arizona Coyotes to run a pilot girls program for the NHL and to serve as a strategic advisor for the team and the league. Lyndsey loves bringing her motivational energy to her speeches and specializes in topics related to goal setting, team dynamics, and overcoming adversity. Find out more about Lyndsey Fry at http://www.fryhockey.com.